A small literary event series took root in San Francisco 17 years ago. 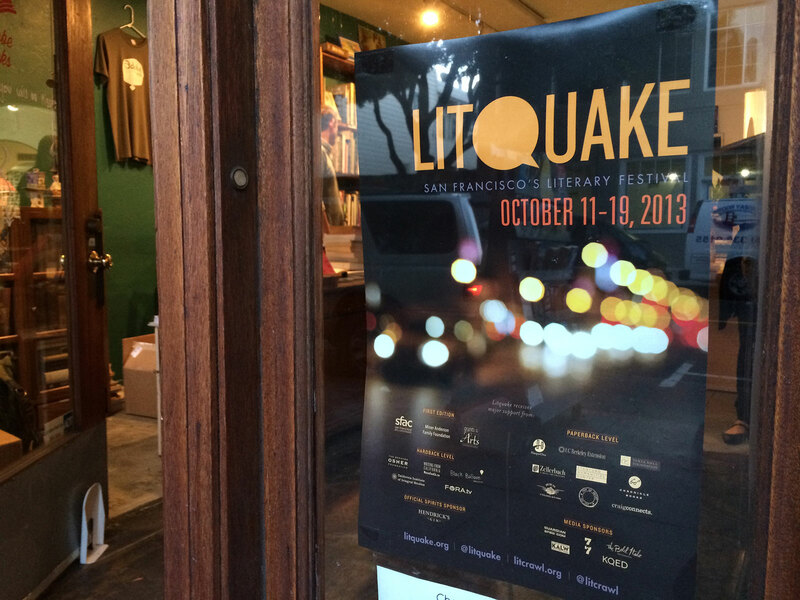 Within a few years of its launch, it had become a nine-day, citywide festival promoting literature in venues around town called Litquake. It also features a series of monthly literary conversations with authors called Epicenters, until recently held at the now-shuttered Viracocha. Litquake has relocated its Epicenters to the Alamo Drafthouse at the New Mission Theater. This month’s Epicenter, Sunil Yapa in Conversation with Marie Mockett, is scheduled for 7 PM tonight. When quirky events space Viracocha closed, finding a new place was difficult. But in December of 2015, conversations began between Boulware and representatives of the Alamo. Liam Passmore, a spokesperson for Litquake, said the cinema’s short walking distance to the BART stations at both 16th and 24th streets was a factor in the decision, as the event draws crowds from throughout the Bay Area. The full kitchen and bar was also a definite plus. Boulware had heard about Alamo’s reputation in Texas and liked what the organization did. Growing community in the Mission and San Francisco “as part of our cultural fabric” is important to Alamo, said the cinema’s Director of Private Events & Community Engagement, Liz Duran. “The movies we play are a conversation with our audience,” Duran said. Mike Keegan, Alamo’s program director and creative manager, said Litquake’s ability to attract a varied crowd fits with the cinema’s agenda. The literary organization provides “highbrow stuff, but also stuff for the people,” he said. The Alamo, he added, wants to expose its audiences to the material Litquake provides. The move from Viracocha to the Alamo is only a short distance, and keeps the Epicenters in the Mission. Duran said that although Litquake is the Alamo’s first foray into a venture that includes no films, it will not be the last.